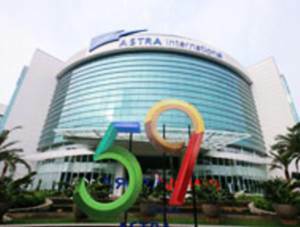 PT Astra International Tbk - Astra International (IDX : ASII) more popularly called "Astra Group" is one of the largest business conglomerates in Indonesia, headquartered in Jakarta. Astra Group are engaged in 7 business categories; automotive, financial services, heavy equipment and mining, agribusiness, infrastructure and logistics, information technology, and property. Astra Group is controlled by Jardine Cycle & Carriage Limited Singapore (JC&C), a Singapore-listed company and a member of the Jardine Matheson Group. As of December 2016, JC&C has a 50.11% interest in Astra Group. Other remaining interest in Astra Group was owned by public. At the end of 2016, Astra Group runs its business operations in all parts of Indonesia under the management of 208 subsidiary companies, joint ventures and associates. Astra Group also supported by 214,835 employees. According to PT Astra International Tbk Annual Report 2016 as cited by JobsCDC.com, Astra Group recorded a profit of Rp 18.30 trillion in 2016 or 17.22% increase from Rp 15.61 trillion in 2015. Referring to its annual report, Astra Group’s total revenue in 2016 was down 1.68% at Rp 181.08 trillion as compared with Rp 184.19 trillion in 2015. Astra Group's total assets grew from Rp 245.43 trillion in 2015 to Rp 261.85 trillion in 2016, an increase of 6.69%. Willing to follow the entire program from August 2017 - May 2018. JobsCDC.com now available on android device. Download now on Google Play here. Please be aware of recruitment fraud. The entire stage of this selection process is free of charge. PT Astra International Tbk - Recruitment Astra 1st Program Astra Group April 2017 will never ask for fees or upfront payments for any purposes during the recruitment process such as transportation and accommodation.